Trends come and go, but the idea of a bunch of guys getting together in a garage and playing the kind of music that makes the neighbors call the cops — that’s forever. And it’s that idea that’s crystallized in the form of RADIO MOSCOW. 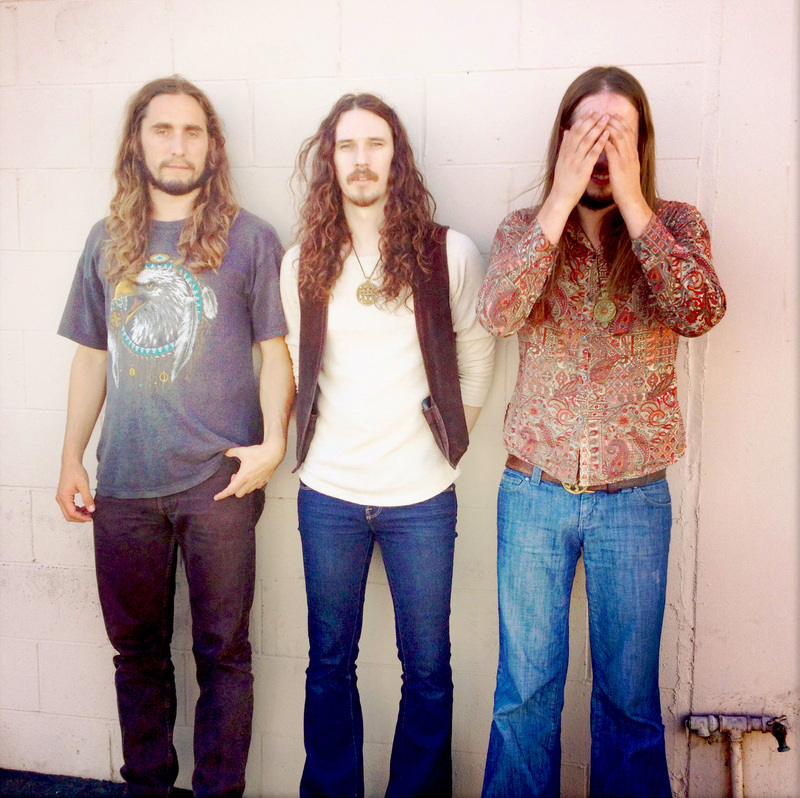 The power trio led by the genius Parker Griggs have found THE formula : powerful, crunching Sabbath-style chords and fiery solos that earn the right to be called Hendrixian and plants its flag firmly in the territory where psychedelic rock and cranked-up blues meet. Their sound is unabashedly retro, but they update this old-school style with pure passion and a refreshing lack of irony ! In 2007, Parker’s demo caught the ear of Dan Auerbach (The Black Keys), who produced their self-titled debut. In 2009 and 2011, RADIO MOSCOW released two other albums “Brain Cycles” and “The Great Escape of Leslie Magnafuzz”, both on Alive Records, proving that they are a direct descendant from the golden age of Rock'n'Roll ! A year later, Alive Records again released “3 & 3 Quarters”, that was was recorded and produced in 2003 by Parker Griggs before the formation of the band. During spring 2014, the band released a fourth album, "Magical Dirt", with high goals of sending you on another trip into heavy psychedelic headphone heaven. And in the fall of 2017, they released via Century Media another masterpiece called "New Beginnings". We are 4 young women in our twenties, ready to show the world that we're not part of the decor. We're from a small region of France, on the border of Switzerland, but we're ready to take over the world. We're definitely neither perfect, nor soon-to-be 'wives' (with everything it means). That's what we wanted to express by chosing FALLEN LILLIES. With songs like S.T.U.R.M. (Sexier Than U R Mother) or Desperate Youth, we try to throw out the window all the expectations and prejudices related to the role of women. Far from being 'Angels of the House', we worship a rock and 'underground' lifestyle. Our sound is distorted and overdriven, inspired by the heavy rock scene that we incense. And we've been working our a** off since november to get on stage as soon as possible. So beware and listen!